It’s no secret that Florida’s conservative Supreme Court opens up certain possibilities for those in the legislature and so-called ‘tort reform’ is set to be a major issue this legislative season. While it’s sold as an idea that will reduce insurance rates for everyone, it’s clear purpose is to protect businesses and insurance companies from hefty payouts. Hence why lobbyists for both enthusiastically support the measure. 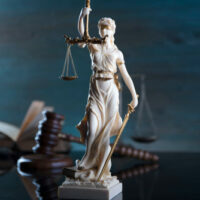 Questions of constitutionality caused damage caps on medical malpractice lawsuits to be overturned in spite of the fact that it had enthusiastic support from both insurance companies and the big business lobby. Now, with a conservative high court, Florida may see damage caps imposed once again on personal injury lawsuits. In this article, we’ll take a look at what that could mean. Regardless of whether or not you broke a fingernail or are permanently paralyzed, the law would cap “noneconomic” damages at $1 million. Noneconomic damages include elements like pain and suffering, loss of enjoyment, loss of consortium, and loss of society. In other words, they are all elements that decrease your quality of life. When damage caps were overturned a few years back, the Florida Supreme Court ruled that the violated the equal protection clause that ensures all citizens equal protection under the law. But the damage caps ensured only that some people were more equal than others. The Supreme Court also rebuffed the rationale behind the damage caps claiming that there was no evidence to support the notion that damage caps resulted in lower health care costs or insurance premiums for your average citizen. Despite the fact that lower premiums are the rationale behind imposing damage caps, there is no provision in the proposed legislation that requires insurance companies to lower premiums. Rep. Tom Leek, who worked in for an insurance company and has seen donations from insurance companies skyrocket as a major sponsor for this bill, claims the bill would actually hurt insurance companies. He would also have us believe that insurance companies are funding their own reduction in profits. Leek goes on to say that insurance companies do not “bear risk” and that they only “collect premiums”. In other words, Leek is claiming that insurance companies do not pay out on claims, a bizarre supposition to say the least. Since insurance premiums would be reduced by the measure (even though there is no provision that requires them to reduce premiums) they would actually be losing money if the legislation passed since they don’t have to pay out on claims and they only collect the money from premiums. If that doesn’t make sense to you, there’s a valid reason for that. It’s nonsense. The bill seeks to limit claims against companies that make dangerous products, those who are severely injured by negligence, and those who have seen severe reductions in their quality of life. If you’ve been injured by the negligence of another party, the office of Alan Goldfarb P.A. can litigate your claim. Our Miami personal injury attorneys have recovered millions of dollars for our clients and can successfully negotiate a settlement or get a jury verdict in your favor. Give us a call or talk to us online to set up a free consultation today.